The Rhodes site (31Br90) is located on the eastern bank of the Roanoke River in Bertie County, in the vicinity of Hamilton, N.C. It consists of a deeply buried midden deposit dating from the Middle to Late Woodland periods (ca. 300 B.C. - A.D. 1715). The site appears to have been the location of specialized subsistence activities and, as such, probably functioned at various times as a satellite or seasonal campsite for a larger and more permanent village settlements nearby. The site was first reported to the [Office of State Archaeology] by Mr. Henry Winslow a resident of Hamilton. 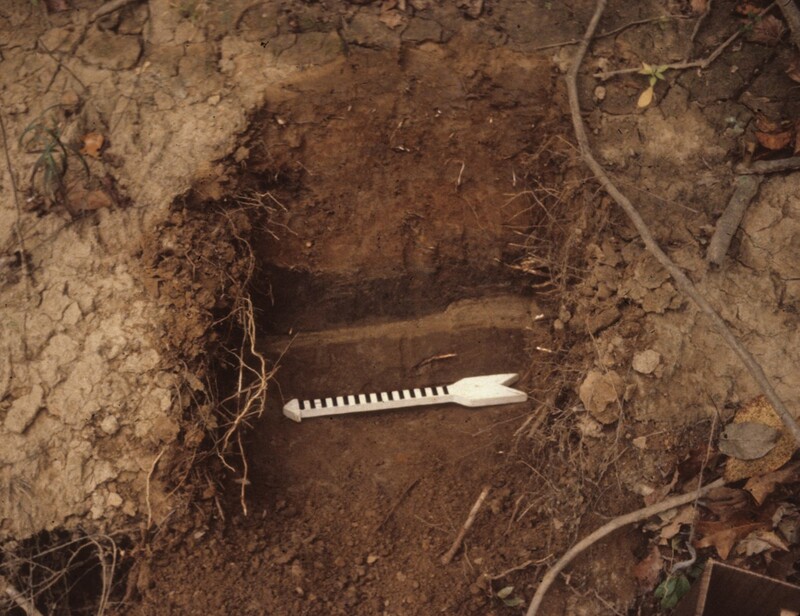 After a preliminary examination at the site, staff archaeologists and volunteers returned for two days of testing in October of 1982. The purpose of these investigations was to determine and document the dimensions, condition and probably cultural affiliations of the site. There appear to be two major aspects to the significance of 3lBr90: 1) the potential for understanding more clearly the function of a Woodland period specialized activity site and its role in Middle and Late Woodland subsistence; and 2) the potential for refining our present understanding of temporal variation in ceramic types in the coastal plain. The presence of charred organic remains offers the opportunity for acquiring radiocarbon dates, as well as information about the foods eaten by the site occupants. The Rhodes site was listed in the National Register of Historic Places on August 28, 1986 and is being preserved by the landowner.